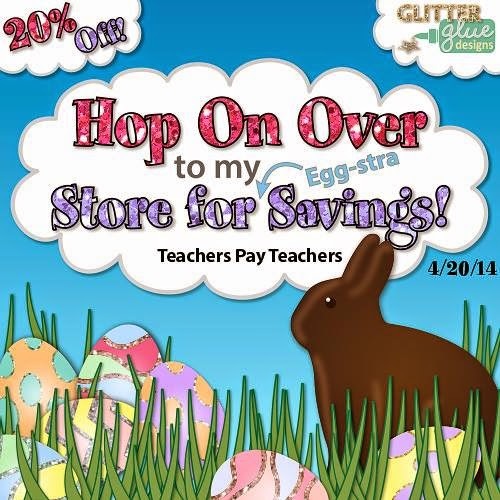 I'm teaming up with other teachers for a 20% off sale at TpT! I am planning to start my sale tomorrow and it will run through Sunday- and possibly Monday too! I have so many things in my cart! I have been buying a ton lately- so many good things on TpT! I hope you enjoy your Friday and have a wonderful weekend and Easter! Be sure to enter our giveaway HERE if you haven't already!